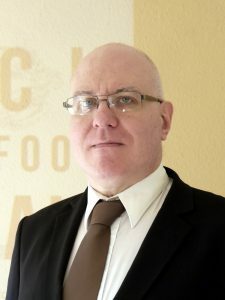 I did a podcast interview with David Birch for his series of author podcasts. It’s half an hour, specifically about the book, its origins and history. 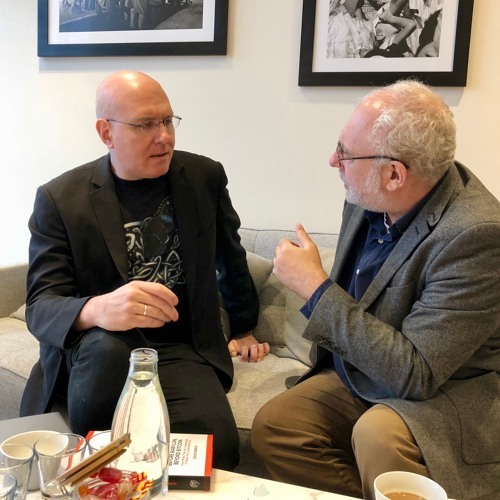 We did two other podcasts on the same day — a shorter podcast on the book, and a very long discussion about Bitcoin and blockchain with Guy Shone of Explain The Market (who took the photo) — which I’ll post when they’re up. Also on phones, but in a room with less echo. 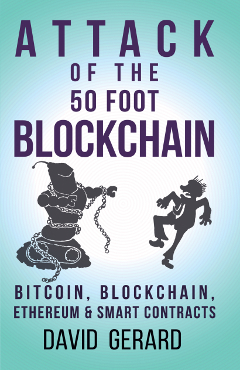 David is also the author of Before Babylon, Beyond Bitcoin, which I have here and need to write up. Here’s the LSE Review of Books piece on it. His previous was Identity Is The New Money. 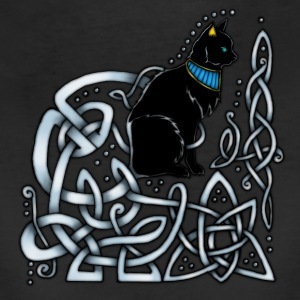 You can get the shirt I’m wearing— Celtic Knotwork Egyptian Cat by Arkady Rose — here or here.